When the average gamer sees someone who claims to be a retro gamer, they tend to think of them as someone who is a classic gaming elitist that shuns anything new and flashy. They may also think that classic gamers are stuck wearing “rose-colored glasses”, remembering games from their childhood as better than they really are. I’ve decided to break that stereotype by sharing my view on retro gaming and why I lead the gaming lifestyle that I do. I am a child of the 1980′s so I’m not quite old enough to see the original rise of the arcade or remember much of the console crash in the earliest part of the decade. However, I was a participant in Nintendo’s success in bringing the console industry back to life and one of the greatest eras for the arcades. When I was a kid, my parents said that if I wanted to have a gaming system at home, I would need to save up the money and buy it myself. I didn’t earn much at all in those early years, so most of my gaming was in the arcades and occasional trips to my friends’ houses to play on an NES. Even though I greatly enjoyed some NES classics like Punch-Out and Duck Hunt, most of my fondest gaming memories took place in the arcades. My local Little Caesars Pizza had an excellent arcade collection of classics like Double Dragon, Dig Dug and eventually games like Street Fighter 2 and Teenage Mutant Ninja Turtles. I always looked forward to the weekends when my parents would take us out and give us a handful of quarters. Once I was in my early teens, I finally saved up enough money to purchase a new Sega Genesis and an original Gameboy as my first gaming systems of my very own. Soon after that, I had a tremendous love for my local Funcoland store (which was later bought out by GameStop). For those of you familiar with the Funcoland chain, you may remember their newspaper-like price lists that included essentially every game made for every available system — from the NES to the Sega CD and Saturn. I would spend hours scouring that list and highlighting the games that interested me and would fit into my budget. Of course, that particular store didn’t have every game in stock, but they had a surprisingly good selection of titles and I was able to start building a good collection of older games on a budget. 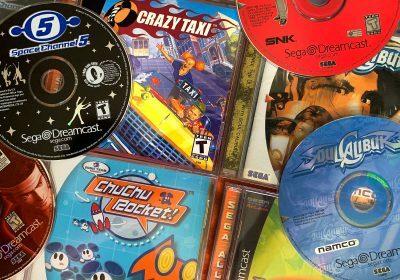 Once Funcoland ceased to exist, eBay filled its shoes in my gaming life, allowing me to pick up on the Saturn and other games that I had previously missed out on. Being a collector at heart, I couldn’t help but try to accumulate all the best games that these consoles had to offer. With the eventual rise of emulation I was also able to play the games of my past when I was away from home and try new titles I missed out on. Since then, my gaming lifestyle has snowballed a bit into what it is now. Arcades are where I feel most comfortable. I love to just walk up to a machine, put in a quarter, press start and get going. Arcade games are also typically set up to ramp up the difficulty level in order to get you to put in more quarters. This added friction either encourages me to meet the challenge or move onto another game if I get worn out. Maybe it is because I was raised on simple 2D games and I wasn’t really involved in the era where more complex 3D games became the mainstream, but I still gravitate towards simple games. Just by comparing the controllers for the NES, Sega Genesis, or even the Super Nintendo to the likes of the XBox 360 or Playstation 3 you can see that the dramatic increase in the number of buttons and controls used for modern games. I still enjoy a modern game with complex controls every now and then, but many times after a busy day, I still prefer a quick but engaging game that only uses a few simple controls. The in-game perspective can also make a huge impact on the game’s complexity. I think most people would agree that three-dimensional games are more complex than their two-dimensional cousins. Fighting games and platformers are excellent examples for illustrating this point. In two-dimensional games, you only have two ways to move — left and right (not including jumping and such). However, with 3D games, you have much more freedom of movement, which can be a good thing or a bad thing. If you WANT more freedom of exploration and such, 3D is great. However, if you just want to focus on core gameplay and twitch reflexes, 2D gameplay excels in this area. For me, it all comes down to what mood I’m in. And most of the time, I’m in a 2D mood. This isn’t a huge deal for me, but it is worth mentioning. Of course, this comes down to personal preference, but I really enjoy spirtes more than polygons. I’m sure it has a lot to do with the fact that I grew up being mesmerized by sprites at an early age, but I just find them to be more charming and artistic than 3D models. I appreciate sprites more knowing that each individual frame of animation was painstakingly designed by an artist. I realize that likewise, many hours go into developing 3D models, but it just seems different in my mind. To me 2D sprites are more like a painting on a wall or an animated film, while a 3D game feels more like a photograph or a live action motion picture. Both are excellent forms of art and entertainment, but are still slightly different. Again, it’s all a matter of preference. I was definitely was not a History major in college, but I have always had a casual interest in the history of our country, the developments of business, and the evolution of technology. The same goes for the progress the gaming industry has seen over the years. Being able to re-visit the most influential landmark games is a great way for me to be able to see how certain gameplay mechanics and concepts have developed and perfected (or butchered) over the years. From a technology standpoint, it is also deeply fascinating to see the progression from different eras of arcade machine, personal computers, consoles and handhelds. 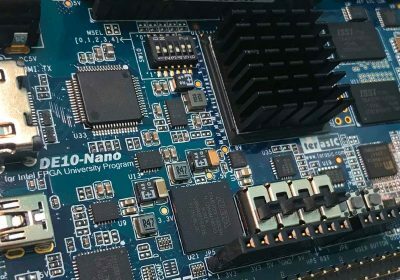 Graphics and sound aren’t the only aspect of my fascination – seeing the progression of hardware aspects such as controller, media types, technical limitations, hardware design and the progression of the video game industry is always interesting. When I was growing up, I obviously didn’t have all the financial resources to experience all the games of the era, nor did I know about many of the hidden gems that most of us passed by. Also, while I was in high school and college, I didn’t keep up with the gaming world and missed out on a lot of the action in the 32/64-bit era. So once I got out of school, I had a lot of catching up to do if I wanted to experience the best the gaming world had to offer. With all the major consoles released over the past three decades, each with tens, if not hundreds of worthwhile games each, there are plenty of great games to keep me busy. Just browsing through the endless selection of games in order to experience the most groundbreaking titles in history in addition to discovering little-known gems, it an adventure of its own. I admit it. While I’m not the most extreme case of thriftiness, I was raised to be responsible with my money and save for the future. Because of this, I cannot bring myself to spend more than $150 or so for a console (the PS3 is the only machine I’ve paid more than that for – but it is also used for home theater purposes). I also rarely spend more than $20 for a game. Even then, I have to REALLY want the game to spend more than that. With these established financial restrictions in my mind, I have pretty much ruled out buying any consoles anywhere near their launch date. The low costs of used games and systems have always been the foundations of my gaming habits. While I bought my first Sega Genesis new, I added my Sega CD and most of that game library via Funcoland’s selection well after the add-on was a failure. I didn’t buy my Saturn and 32X on eBay until the Dreamcast was already on its way. Not only are games in the bargain bins at your local retail stores as a given console goes out of fashion, but gamers that are always up for the latest and greatest are all selling off their older stuff dirt cheap on eBay and used game stores. Their loss is my gain. 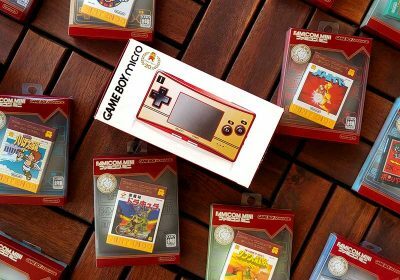 Unfortunately, over the last few years, we have all seen the prices of popular retro games increase drastically – especially for complete copies (check out the Rare and Valuable lists for some rather unbelievable prices for boxed vintage games). Because of this, it isn’t quite as easy to score a full library on the cheap, but there are a surprising number of great titles that are still around or under the $10 price point. Even if you look at the majority of my purchases for my PS3, they are retro-styled downloadable titles that are rarely above $10 a piece. I would wager than only a small percentage of old-school gamers could honestly deny that nostalgia doesn’t come into play on occasion in their gaming decisions. There are a number of times I pull out some of my first cartridge games like Sonic the Hedgehog 2 or emulate some of my arcade favorites like Double Dragon or Rampage just so I can relive some memories. Sure, I did play outside and climb trees as a kid, but some of my happiest and most vivid moments of my childhood memories revolved around certain classic games. Unfortunately, there aren’t many ways for me to look back at some of my “real world” childhood experiences other than looking at photographs or driving by houses I grew up in. However, with games I just need to boot up an old console or emulator to relive most of the experience in perfect clarity. On the other hand, most of the old-school games I play now are ones that I have never played before or originally played nearly a decade after their original release. Again, this has more to do with catching up on games I missed, but serves as a reminder than nostalgia is not the only — or even the primary reason I am a retro gamer. Those of you that are already familiar with my gaming habits know that I am interesting in retro games that are actually quite new. The download marketplaces on the Xbox, Playstation, and Nintendo devices have made it possible to market low-cost and high-quality old-school games to the mass-market. These retro gems are pretty much the only new games releases that I get excited about now. Not only can I play them on my newer consoles and handhelds (and all the benefits and conveniences that they bring), but they also have more eye candy and higher production values while keeping the simplistic but challenging gameplay that keeps me interested. I hope that by sharing these thoughts with you, you get a better idea of my gaming habits and that it makes you take a few moments to reflect on your own. Also, for those retro skeptics out there (if by chance there are some that make it to this site), I hope you see how diverse our gaming habits actually can be (and yes, I do enjoy first-person shooters and the occasional sports game) and take another look at some forgotten genres that you may usually pass by. Share your thoughts in the comments section below or join in on this forum thread. This article is absolutely superb! I am approaching my 40th year and am old enough to remember the birth of videogaming and enjoyed it’s development. My passion for retro games is simple: although it is very much unrecognised by the mainstream media, videogaming is both an art form like music or film. Whilst it is easy for people to understand that music by the Clash or the Doors is still great to listen to despite being 30 or 40 years old, retro games are always seen as being inferior to their modern counterparts. Because graphics have improved, people think gameplay has necessarily improved. I would argue against this idea. Even the very first generation of games have some fabulously playable games. The kids in the school in which I work, if given free time on the computer, will jump onto a games website and play reproductions of games I was playing 15 years ago. The inherent gameplay of something like ‘Frogger’, ‘Centipede’ or ‘Asteroids’ still works today… Fun pure and simple! You made me think of another good point. Back in the early days, game developers had to put more thought into their gameplay to make up for the technical limitations. They didn’t have fancy graphics as a crutch. What is also impressive is that there were so many unique games created back then as opposed to the refinements and spinoffs of existing games we have now. I like having refined games, but from a creative standpoint, it isn’t quite as impressive. Extremely well said. I’m maybe a little older than you (I remember when Donkey Kong, my first gaming obsession, was new to arcades), but I’ve had much the same experience with games during my life. I was drawn to the arcade much more than to home consoles initially, and to this day, I prefer arcade-style games to long, drawn out, RPG-type things (though I am a big Zelda fan). Fighting games are definitely my favorite genre, and they are an excellent example of why I prefer older games to newer, flashier ones. Remember how everyone oohed and aahed over Virtua Fighter and Tekken back in the mid-90s? Well, the early versions of those games look and play like utter crap now, and there’s absolutely no reason to still play them. They’ve aged terribly, as have many polygon-based games from that era. And I’ll be willing to bet that the same will be true of many of today’s games 10 years from now. But a game like Street Fighter 2? It’s still great, and always will be. Good point Mr. Racket! And can I add that this site goes from strength to strength! Great read Racketboy. I like retrogaming for most of the same reasons. I’m in university right now, so I can’t afford the new stuff, especially when it comes down in price so drastically in just a few years. 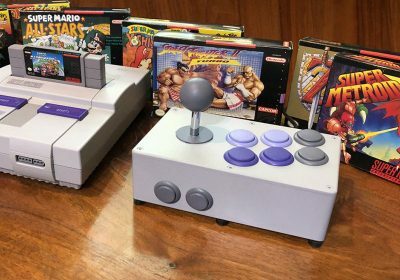 I’m all about my SNES and N64 right now, and I’ve been thinking about buying that Yobo NES clone you wrote about before to get in on some cheap NES action. My question for you is this though. You seem to be an advocate of emulation, but you clearly also buy games (you mentioned your love of Funcoland). 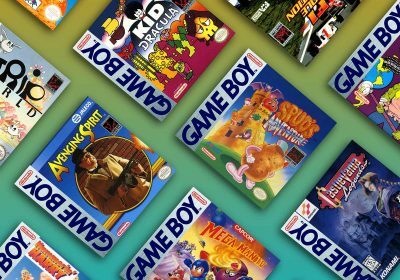 If you use emulation, why bother buying games? 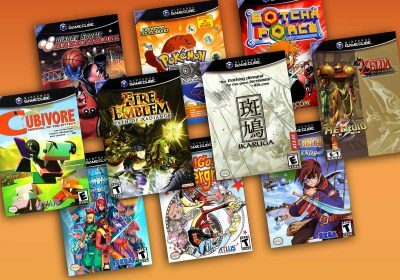 Do you test out games thru ROMs to see if they are “hidden gems” and then buy them if so? Yeah, that’s pretty much how it works for me. Even if I own the game, I will still emulate many of them — either on a portable device or on a machine than make it more convenient. I’m a retrogamer too, and it’s because of the Atari 2600, which my brother and I received for christmas of 1981, the very pinnacle of the first console boom. We got Combat (natch), Asteroids, and Defender that Xmas, and River Raid that spring. We ended up with a couple dozen cartridges but those remain the most memorable ones. I can really identify with the need for casual, short-term gaming. I loved GTA III and Vice City, but by the time San Andreas came out, I really didn’t have the time or the patience to see the game through. Now I own an xBox 360, and what do I play? The XBLA games. Geometry Wars, Bejewelled, and Pinball FX are the most-played games for me. I own Call of Duty 3 and Crackdown, and have only scratched the surface of those. It’s good to be a retrogamer. I think its a desperate attempt to stay in touch with my childhood days where my life was more simple. 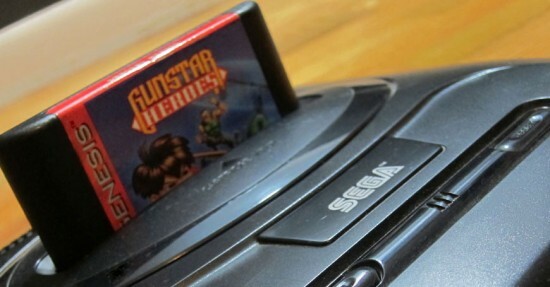 The first console i really enjoyed was my sega saturn in high school. I just remember having my first job and using all of the money to save up for the latest sega saturn magazine and 4mb memory card! I guess being a game collecter is a desparate attempt to hold onto the simplicity of these times. Then in college I bought a Dreamcast and games for a very low price. Then as time has worn on I have added many other consoles and games to my collection. To me games are games. Some of them stimulate your brain more than others but at the end of the day you are sitting in front of a screen with a controller. Why the hell would you pay hundreds of dollars for new games when there are hundreds and thousands of PROVEN games out there that are still fun to play. I personally have never spent over $100 on any video games or systems. I also like screwing around with old technology. It take a weird guy to relax by cleaning old Genesis carts bought from a pawn shop for .50 cents but thats me. Getting the stuff and restoring it is fun. Games are about fun. Sure new games are fun, but does that make older games somehow NOT fun? Paying $49.99 for a game is not fun. Paying monthly fees is not fun. Playing with weird jerks who act like playing games is a JOB is not fun. Photorealism is not fun (impressive but not fun). Running around in Mario and jumping on Goombas is fun. Splattering zombies with the shotgun in RE-Code Veronica is fun. Playing FF7 is fun. Playing Soul Calibur with the fishing rod is fun. Screwing around with an old Sega CD, cleaning it and making it work again is fun. In the end you are going to be sitting in front of the TV for an hour or two. Why the hell pay hundreds of dollars for a few games and one console when you can play a WHOLE WORLD of games and stuff for the same price. I relate to you and what you said in many ways. That’s prolly why I have this site bookmarked and RSS feeds of Opera, plus I visit it very often. I agree with everything you said racket, and also with almost everything in the comments here. Retro rules. I will stick with “young until I die” forever, and old school games (and gaming in general) is one of the best ways to uphold that. I have to agree with pretty much all of your points. Especially the cheapskate one and the time issue. Between work and wife and kids I just don’t have time for complex games nor do I have time to “get my money’s worth” out of a new $50 title. I’ve been randomly wanting ot sit down with Grand Theft Auto San Andreas for about 6 months now but havn’t played it in a year or more. (Ironicly I bought it new the day I started dating my wife). Another factor I think. Game characters today just aren’t as likable. They all just come off as bland and the ultra realness of the graphics doesn’t help. yeah. I had a master system and nes but it was always fun to go to the arcade. so many great games like tmnt and final fight when i was in third grade. I used to play at the local pizza shop and bodega right next door. they both had tmnt at the same time but you would start with 3 lives instead of 2 like the bodega. I also played sf2 heavy at the pizza shop. i remember times when 30 guys would crowd the 1 machine. We also had other gems come through that pizza shop like S.P.Y, final round, golden axe, robocop, ninja gaiden, wwf superstars, wrestlefest, the combatribe, un squadron, sf1, Sf2ce, mortal kombat, nba jam etc. Im from creston ave in the bronx and now that i think about it im surprised such a poor neighborhood was blessed with so many gems over the years. Come to think of it though, i did see a guy get knocked out over a game of wrestlefest. I play old games because they’re fun. No other justification required. Wow, it’s like reading my own biography (nearly). I too grew up around the time of the NES/SMS. Similar to your story, my parents required that I ‘earn’ a NES; however, I merely had to get really good grades rather than having to pay for it myself. So I got my own NES in the 5th grade and haven’t looked back–and was pretty much banned from ever getting bad grades since. I too spent so much time at Funcoland (growing up in MN where they started was great). At one point, I knew how to get to no less then 8 Fincolands in my area. Highlighting the price list was practically a weekly habit. Then eBay came around and altered our idea of ‘hard to find’ forever. I got a job at McDonald’s when I was 15 purely to earn money for buying games. I bought my first Genesis and SNES at that time (circa 1992). What a great time to be a gamer! There were so many classic (read: FUN!) games release at that time. I too never purchased a single system when it was first released, but for a slightly different reason. I figure that the games that come out right away tend to be of the lowest quality, so why waste your money on them. Plus the system is overpriced due to scarcity or to capitalize on those that must have the latest and greatest. I always wait for some better quality games to surface and the price to drop. Playing games on emulation is fine (especially for evaluating games quickly and easily), but I too prefer to own the games and play them on original hardware for maximum enjoyment. The only problem I have found is that it is a pain to keep 10+ systems connected at all times in a way that isn’t an eyesore. Plus, I’m still looking for an AV switch that was designed with the retrogamer in mind (none of this 4 input switching crap; I need something on the order of 16 inputs). And how does one possibly take advantage of s-video and composite video on the newer systems while retaining support for systems that only have composite video and not create a giant mess of confusion? Like you say, there are so many old games to seek out and play, what is the point of dumping a bunch of cash into new systems/games. I am actually considering never buying a system newer than the PS2/GCN. Maybe the Wii, but the jury is still out on that one in my mind. I can relate to almost everything, except for missing out on funcoland, due to being a 90’s child. I too have a spaghetti mess of consoles, why can’t they make an all in one splitter, I have like 3…so far. Since I started working, my retro game collection has grown, and I find fun in getting an old game, cleaning it and making it work again. It is nice to see a community such as this, as my friends think I am nuts for not having the newest instead of putting it into retro. I love racketboy, and hope more take up our lofty yet golden hobby. Wow — I’m glad you all related to this so well. I agree with all of you said, racketboy, especially with the nostalgia aspect of it. These were the games I was raised on, and were the ones that have taken a large chunk of my memories. Like you, I still went outside and played, but my fondest memories are still with these older games, not with the sports I played or the memories of hanging out with friends. However, there’s also how enjoyable the games are. To me, retro games are more enjoyable. It’s a thing of preferences. There are people who will say newer games are better, but I won’t argue with that, since that is their preference. I just find my old games more enjoyable than my newer ones. It’s not like I find newer games to be more boring (which many I do, but there are some I like), but to me they are just not as enjoyable to me as older games are. Awesome article, man. Hefty amounts of truth. I was actually having a discussion with my friend the other day about how new consoles lack the feel of old games. I didn’t start out playing things like Xenogears of Devil May Cry, I started out playing Sonic 2 and Vectorman. There’s a sort of charm that comes from such simplistic game-play, and it’s almost like today, too many developers overthink their games, and ironically while in quest to revolutionize, they started to quickly walk away from what made games so great in the first place: playability. I do love a number of console games, and I’m not going to lie and say that I lie solely with retrogaming. It just seems to me, though, that if you’re looking for games with heart, you have to look back instead of forward these days. That has got to be the dumbest thing I’ve ever heard especially when we’re talking about retro gaming. Those games were launch (or damn near) games and they are freaking timeless. If you’re talking about Sega systems launch titles, yeah, those were kinda crap. Alterbeast? Bug? VF? Godzilla Legends? Yep. Crap. But to Senior Racketman, like usually on the site, nice article. Launch titles can be kinda hit or miss. The Dreamcast had a great selection, but the Saturn and PS2, for instance, were really lacking.